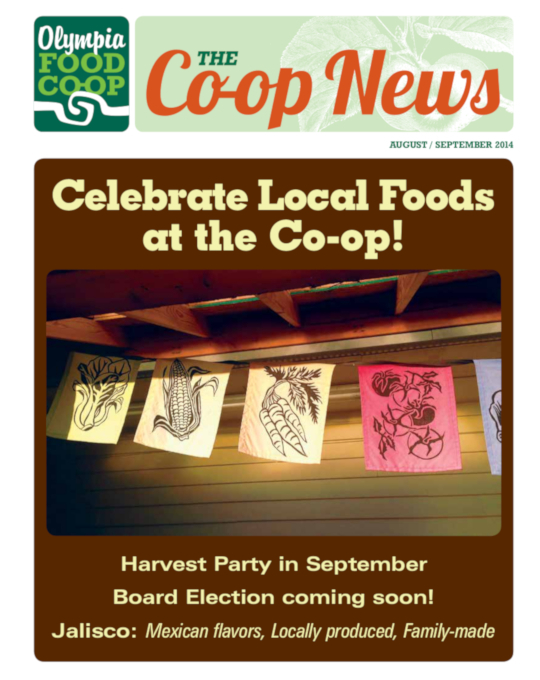 The Olympia Food Co-op has a well established local buying program that we are very proud of. We carry locally and regionally produced items in every department of our stores. Our relationships with local vendors are very important to us and we work closely with them to bring you products you will love. 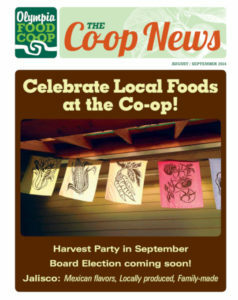 Since “local” has become such a popular buzzword in the natural foods industry, we want to make sure the Olympia Food Co-op members understand our definition of “local.” At the Olympia Food Co-op, if we say it’s local, we mean it’s grown or produced within Thurston, Mason, Lewis, Pierce, or Grays Harbor County. If we say it’s regional, we mean it’s grown or produced in Washington, Oregon, or British Columbia. Currently we buy directly from almost 125 local and regional producers and farms, and many of these direct relationships are with vendors located right in Thurston County. We also carry many more wonderful northwest products which are sold to us through larger distributors. You can identify locally and regionally produced items by looking for the sticker pictured at right. We strive to make locally and regionally produced goods affordable to our members while also paying the farmers and producers fair prices for their crops and products. To facilitate this, we use a lower mark up on locally and regionally produced items that are sold to us directly than we do on items grown or produced elsewhere. To help you get a taste of some of our amazing local and regional goods, we also host a biannual event at our stores called Local Eats where you can meet farmers and producers and sample the items we sell at the Co-op. Thank you for supporting the people who work hard to produce food and products for our community and for helping to make the Olympia Food Co-op’s local program such a success!